I can only see Samsung Tablets everywhere, except for the iPad that is - why? 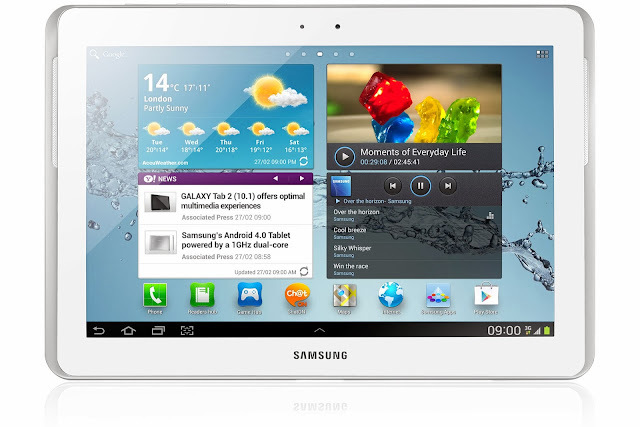 When I go into a store here in Sweden and look for tablets that is not the iPad, I only see Samsung tablets. Nothing else. Why is that? Is it only because Samsung is so dominant on the Android market? Or is it something more than that? Samsung will apparently be even more dominant, their goal for next year is to ship 100 million tablets. This is not good for the tablet market. You probably know by now what I think of Samsung, and how they hurt android by changing it too much with adding all the Samsung apps and strange features. I really hope that Samsung switch to their own Tizen OS and leave Android alone. Yes I know that would mean that there is not much left of the android market because Samsung is so dominant, but I think it would be much better for the Android experience in the long run. Samsung is so dominant that the normal people (non-geeks), even thinks that Samsung is Android, they think that is how Android looks and feel. That’s not good at all. Why isn’t more Android manufacturers making tablets then? My thought on this is that the Android market is still not ready for tablets bigger than 7-inch . The reason is that there is still to few tablet specific apps. Normal phone apps looks terrible on anything bigger than 7-inch. Developers really need to look at the iPad and see how good the apps are for it. Tablet apps simply needs a different design with more content and menu choices visible. They need to be designed more like desktop apps than mobile apps. iPad apps has a completely different user experience than normal phone apps. That is what Android developers also need to do with tablet apps. Hopefully Google can change that by pushing for a specific tablet apps section in Google Play Store, so that more developers start making tablet versions of their apps, and I also think that Google will simplify for developers in making tablet specific apps, I believe it will be easier for developers in some coming Android updates. Google sees that something needs to be done when it comes to tablet apps. Maybe we will even see Chrome Packaged Apps and Native Apps for tablets in a near future?